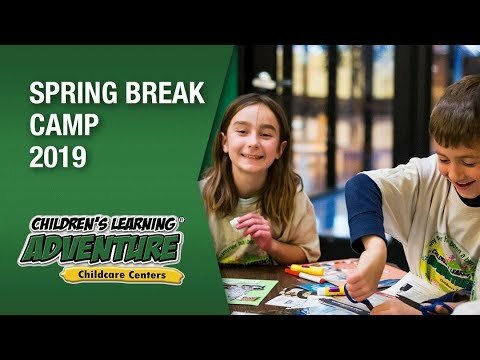 THE WOODLANDS, TX -- Children’s Learning Adventure’s All Inclusive, STEAM- based summer camp will provide every child with a summer experience they’ll never forget. This year’s summer camp theme, “Hooray for Hollywood” will introduce their Woodlands campers to a curriculum centered around all things Hollywood and movie magic! Children’s Learning Adventure’s “Hooray for Hollywood” camp goers will take an amazing journey to new worlds by using their imagination and learning to appreciate the world around them and create storylines that can guide them to understand who they are! Every child will have the opportunity to explore movie magic, from behind the scenes exploration to learning the tricks of the trade to participation in a variety of game shows! These are just a few of the activities that will give campers the opportunity to explore movie magic, from behind the scenes exploration to learning the tricks of the trade to participation in a variety of game shows. The “Hooray for Hollywood” camp theme is intentionally planned to offer a specialized, uniquely designed curriculum that encompasses STEAM learning and literacy as Hollywood helps capture our imagination by taking us on amazing journeys to new worlds. This will help teach children to appreciate the world around them and create storylines that can guide them to understand who they are. Every child will have the opportunity to explore movie magic, from behind the scenes exploration to learning the tricks of the trade to participation in a variety of game shows. These are just a few of the many activities Children’s Learning Adventure is offering to families. The all-inclusive camp, also includes weekly field trips, meals, activities, and flexible scheduling. Giving campers the experience of a lifetime, so they can enjoy their summer while also learning something new. To learn more about Children’s Learning Adventure and their upcoming Summer Camp please visit www.childrenslearningadventure.com or call 1-877-797-1417.